Are your aches and pains growing alongside your baby bump? Or maybe you worry about how your body will be able to withstand the rigors of labor. If so, perhaps it’s time to consider visiting a chiropractor. A chiropractor can help press the reset button on your body, alleviating pain, strengthening your nervous system, and contributing to the overall health of you and your little one. These benefits sound great, but some women have doubts about the efficacy and safety of chiropractic care during pregnancy. We understand how scary a new type of health treatment can be, especially when you have a baby growing inside of you. 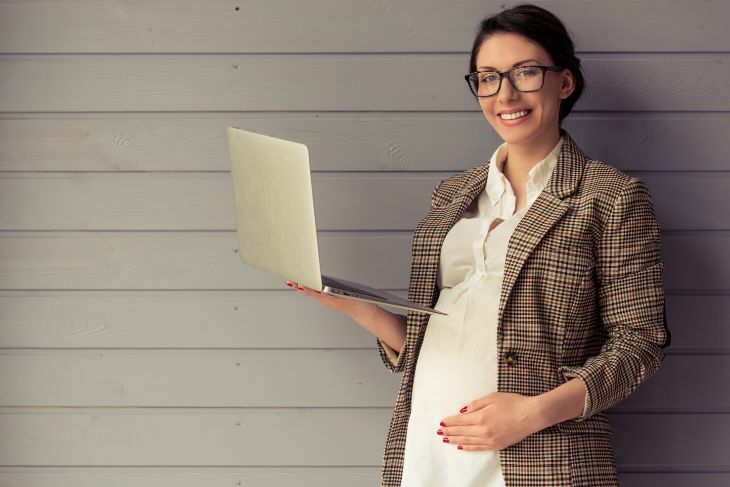 In this article, we want to help you learn more about what chiropractors do, their specialized techniques for treating pregnant women, and how you can find a chiropractor near you. Why Do Pregnant Women See Chiropractors? Have You Visited a Chiropractor? Learn more about the benefits and safety of <a href="https://momlovesbest.com/chiropractic-during-pregnancy">chiropractic care during pregnancy</a> at Mom Loves Best. A chiropractor is an health practitioner who assesses the misalignments of the joints and uses musculoskeletal adjustment in an attempt to heal health conditions including back pain, neck pain, and headaches (source). Chiropractic care is based on the belief that the relationship between your body’s structure and how it functions is directly related (source). By adjusting the spine and other parts of the body, such as your ligaments and joints, pain is alleviated and your body’s natural ability to support itself is enhanced. During your pregnancy, you will experience many changes to your body that can lead to discomfort, including severe back and pelvic pain. You may also notice other physical, emotional, and mental changes that can be overwhelming. The following conditions in pregnant women are commonly treated by chiropractors. Your big belly is a joyous symbol that your little one is growing well. However, your protruding belly may also cause back pain. There are a number of reasons for this. Have you ever heard of the pregnancy waddle? It’s a real thing and the most common reason for back pain. You lean backwards as your center of gravity changes. You bend your knees less and splay your hips out more (source). All of this means your body is no longer maintaining a healthy posture, which can lead to some serious back strain. Your pelvis is the large bone structure located at the bottom of your spine. The pelvis supports your trunk and connects your trunk to your legs. It also supports many of your internal organs (source). While pressure on your pelvic region is normal, some women may experience a condition known as symphysis pubis dysfunction (SPD). It is also known as pelvic girdle pain. SPD occurs when the hormones meant to prepare your body for delivery work a little too well, causing the ligament between the two bones of the symphysis pubis to become relaxed (source). Your pelvis is held in place by these muscles and, if they become too stretchy, your pelvis can become misaligned. This, in turn, can cause serious pelvic pain. Your sciatic nerve is formed by the lower spinal nerves runs through your lower back and through your hip and buttocks (source). When the nerve becomes compressed, which can occur during pregnancy because of prolonged sitting or postural misalignment, you can experience inflammation, numbness, and pain. In most people, sciatic pain is the result of a bulging or herniated disk (source). This is rare in pregnant women, but if your pain is severe you may want to check with your doctor. If you have never been to a chiropractor before, you might be wondering what to expect, and if it’s safe for your baby. The scientific evidence points towards a positive affirmation. After reviewing thirty-three different references, it was determined chiropractic treatment was safe for pregnant women (source). In fact, all chiropractors learn how to treat pregnant women specifically as part of their training (source). Can Chiropractic Care Cause a Miscarriage? It is safe to visit a chiropractor during pregnancy and chiropractic care is not a cause for miscarriage, or the passing of a child before it is able to survive independently outside the womb. However, your concerns are important. If you have had a miscarriage before or are simply worried about how visiting a chiropractor for the first time during pregnancy may affect you, communicate. Your chiropractor will never do anything you feel uncomfortable with and will come up with a treatment plan designed to minimize manipulation around your belly. You can even look for a chiropractor who specializes in caring for pregnant women, which we will talk about a little later. There are many benefits of chiropractic care during pregnancy. A single visit can do wonders, but you may be surprised to learn incorporating a chiropractor into your pregnancy healthcare routine can have lasting benefits. We have gathered ten we think moms will appreciate the most. Chiropractic care is an all-natural way to relieve back, neck, and joint pain. This is most often achieved through spinal manipulation. When people refer to “being adjusted,” they are generally referring to spinal manipulation, although chiropractors can manipulate and adjust almost every joint in the body. Spinal manipulation is applying controlled force to a joint in your spine that has become immobile due to tissue injury (source). When a joint is immobile, it becomes inflamed and painful. The goal of spinal manipulation is to restore mobility, thus allowing the joint to heal. Chiropractors are trained in an endless number of manipulations to focus on the area of your body that’s hurting. As pregnancy changes your posture, you may find your balance affected as your center of gravity shifts and your joints loosen. Chiropractic care can realign your spine for improved posture while making you a little more sure on your feet. Chiropractic care is also said to benefit your nervous system, which plays an essential role in relaying messages from your eyes and ears to your brain (source). If the nervous system is impacted due to tissue damage or stress in the spine, these signals can be distorted, causing dizziness, pain, numbness and tingling, headaches, muscle pain, and imbalance. A simple spinal manipulation can get those messages flowing clearly again. Falls can be serious for pregnant mamas, so it is important you feel sure on your feet. Morning sickness can leave pregnant moms feeling incapacitated for long stretches of time. Unfortunately, the exact causes of morning sickness and nausea during pregnancy are unknown. Hormonal imbalances and the continued changes to your nervous system are all believed to play a role. Studies have found visiting the chiropractor may lessen the severity and duration of morning sickness (source). Since morning sickness most often occurs during the first trimester (source), it is a good idea to think about setting up an appointment with a chiropractor as soon as you discover you are pregnant. If pregnant ladies didn’t already have enough to deal with, the many hormonal changes may weaken their immune systems and leave them more susceptible to illness. Not only is an illness more uncomfortable when you are pregnant, it may also be worrisome for your baby’s development and safety. Chiropractic care can bring your nervous system, your lymphatic system, and your musculoskeletal system into harmony (source). With all of your body’s system operating correctly, you can drastically reduce the risk of illness and give your immune system some much needed support. Do you always find yourself running to the bathroom as your uterus presses against your bladder? Or have your hormones left you constantly constipated? You are not alone. More than half of women experience some sort of bowel irregularity during their pregnancy (source). Because chiropractic care affects the many muscles and joints surrounding your internal organs, it may help improve bowel regularity (source). If pregnancy brain is causing you stress or if all of the changes in your body are affecting your mental and emotional health, chiropractic care may be a good solution. Not only do you get the immediate enjoyment of having your body readjusted, one study found 76 percent of participants reporting an improvement in their mental health, emotional health, and overall stress levels after consistent chiropractic care (source). A cesarean section is a beautiful form of birth and is the process by which a baby is surgically removed from the womb. While some women make the choice to have a c-section, it more often occurs in times of emergency or risk. Consistently visiting a chiropractor can reduce the risk of needing a c-section. One recent study found a strong relationship between women who saw a chiropractor during pregnancy and a reduced occurrence of c-sections and needing to use forceps during labor (source). More scientific examinations need to be done, but the belief is chiropractic care not only strengthens your body for labor but also improves the health of your pregnancy overall. 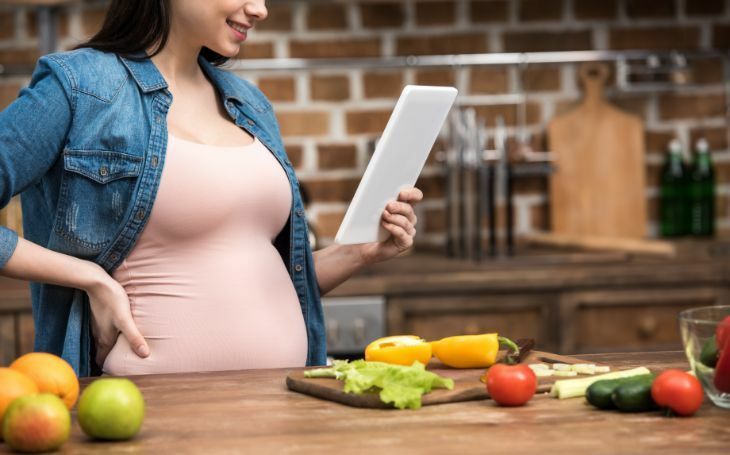 During the third trimester, or the last three months of your pregnancy, your body experiences a number of changes as you prepare to give birth. Hormones relax and stretch the muscles in your pelvis. Your belly seems to drop as your baby descends to the birth canal. An important aspect of the third trimester is your baby’s position inside your womb. If your baby is not in the right position, labor can be both difficult and dangerous. Correctly aligning your pelvis through stretches, exercises, and spinal manipulation can help your baby move into a better position for birth, with the head towards the birth canal (source). Prepare your body for labor by visiting a chiropractor, especially if this is your first child and you are worried about what the experience will be like. On average, women who undergo chiropractic care during their first pregnancy have their labor time reduced by 21 percent while women who have already given birth find the time reduced by 31 percent (source). When the pelvis is aligned and all of the nerves in your body are healthy and strong, some of the complications of labor can be simplified. Visit the chiropractor to help gain a healthy spine, and strong joints and muscles for labor. The benefits of chiropractic care do not end once you have given birth. Birth can be traumatic for your body and cause the pelvis to become misaligned once again. Recovering mothers often experience pain and soreness in the days and weeks after labor. They may also find it hard to move around, leading to more complications. Chiropractic care after birth can bring about many of the same benefits, reducing back and pelvic pain, supporting a healthy nervous system, and allowing mothers to improve their overall quality of life (source). So, you like the sound of all of these benefits. You want to visit a chiropractor, but you don’t know much about what to expect or how it works. Don’t fear! Let’s take a closer look at the most common chiropractic technique used on pregnant women. This technique is called the Webster Technique and is named after Dr. Larry Webster, who developed it in the 1990s and would eventually found the International Chiropractic Pediatric Association (source). The technique encompasses a specific analysis and treatment method for pregnant women. The specific goal of the Webster Technique is to reduce the effects of sacral subluxation (source). Sacral refers to the sacrum, the bone between your hips, and subluxation means misalignment. Ultimately, the Webster Technique allows one of the important bones in your pelvis to be aligned correctly. Does the Webster Technique Help Breech Babies? The Webster technique utilizes specific sacral adjustment to facilitate the mother’s pelvic alignment and nerve system function (source). When the sacrum is misaligned, the muscles in the pelvis can become twisted. Your baby can then be caught, unable to drop into the birth canal in a good position. Therefore, the Webster Technique may offer a greater potential for optimal birthing positioning by helping top reduce torsion in the uterus and balance the pelvic muscles and ligaments. The Webster Technique is most effective when applied consistently throughout pregnancy. However, it can be effective for women in their third trimester who need some last minute help. Are you on the hunt for a great chiropractor in your area? We have a couple tips on what you should look for and where to begin your search. It is so important you find a chiropractor with the right certifications and training to ensure they treat you with the highest quality of care. Webster Certified: Chiropractors go through special training to learn the Webster Technique. Since this technique was specifically created to help pregnant women, make sure your chiropractor is certified. CCE Schooling: Your chiropractor should have his credentials and training listed somewhere for you to review. Their school should be accredited by the Council on Chiropractic Education. Specialized Training: Some chiropractors specialize in treating pregnant women. If you specifically want chiropractic care centered on helping you before, during, and after birth, look for these types of chiropractors. Comfortable Communication: Before choosing a chiropractor, sit down with them and ask questions about the experience and common treatment plans. Since you will be discussing intimate details about your body, your chiropractor needs to be someone you can talk to comfortably and honestly. You should know that many chiropractors are not all about bones and bony manipulation. Many use myofascial techniques, which is the manipulation of muscles and tissue planes, which can be just as effective and doesn’t involve bone cracking, which scares a lot of pregnant women. One of the best ways to find a chiropractor is by referral. A friend or family member may know an amazing chiropractor you would love visiting. Our first suggestion is to check with other moms in your area. Who have they visited and why? Moms know the pain of pregnancy firsthand and will be able to give you honest facts about the chiropractors they’ve visited. Next, talk with your doctor. While some people believe doctors disapprove of chiropractic care, this isn’t normally the case. Your doctor may have a list of recommend chiropractors ready for those who ask. Finally, do your own personal research online. By reading reviews and checking credentials, you can learn a lot about the chiropractors in your area with a quick internet search. Many chiropractors register with chiropractic agencies as a sign they have received the highest levels of training and certification. You want plenty of time to find a chiropractor. It’s important you visit with each one to determine who will fit the best for you and your needs. If you are considering using the power of chiropractic care during pregnancy, we suggest starting your search early. Chiropractic care can have many benefits for pregnant women, from alleviating back and neck pain to strengthening the entire body for an easier labor. By looking for a chiropractor trained in the Webster Technique and specializing in prenatal care, you can move forward in confidence. Have you ever visited a chiropractor, especially during pregnancy? What was it like? At first glance, chiropractic care can seem a bit scary and overwhelming. Share your experiences and help other moms out there feel more relaxed about visiting a chiropractor. If you found this article helpful, please share it with others, including your chiropractor friends. Do I Have to Give Up Coffee Because I’m Pregnant? This is a nice piece of information. Thank you for sharing. One of the main benefits of a visiting chiropractor is that they can help pregnant female maintain a healthier pregnancy. This is because chiropractic care can keep your spine stays aligned to help the whole body working more efficiently. The alignment of the spine can also help improve the nervous system, which is the main communication system of all systems of the body, including the reproductive system. Hey Chathu, thanks for reading and for sharing the extra information! 🙂 Are you a chiropractor? Thank you for sharing this very helpful guide. I’m an expecting mom who wants the best for her child. I’ll definitely consider this.